Accessories plural noun: "a thing which can be added to make it more useful, versatile, or attractive." Our homes are just another stage for us to share our treasured bits and bobs. They're like our favourite outfits, worn with considered little extras - a pop of red lippy, a textured scarf, or our Gran's best pendant. Keepsakes: the fascinating curios, or family heirlooms. They don't have to be on-trend, just special to you. For the self-confessed accessory geeks, you'll love how they fall into three main categories. As the name suggests, these are the practical gadgets, the everyday tools and storage. Because we reach for them on a daily basis, these items are organised in an easy to access manner. Our houses are teeming with evocative items; interesting snapshots, gifts you hold dear, family portraits. All these sundry items add up to share your story. The trick is selecting your absolute faves. Quite simply, the things that give you all the right feels. Maybe it's a particular colour (we bet it features strongly in your wardrobe too). Your personal style will shine brightly in these items. Yep, this can be an ouch investment, but don't be tempted to go smaller. The ideal scenario is to have ALL the furniture legs under the rug, but if you have to, the front legs will suffice. Be a book junkie - they make the perfect gift to yourself. Stack them within easy reach, and our OCD friends will love this...but honestly, get your colour code going. Your stacks look so good when used as part of your colour palette, they appear more organised and part of the styling. If books are not your gig, swap this rule for magazines. Ignite your style with a couple of table lamps. Both practical and decorative, they add star quality to a reading nook; complete the scene with a woollen blanket and a side table - hello weekend. 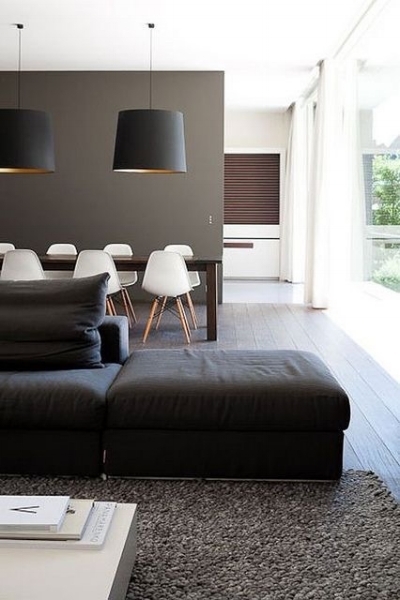 Place in pairs and update the shades from time to time. Scour flea markets and second hand stores for lamp bases, they'll transform with a lick of paint. 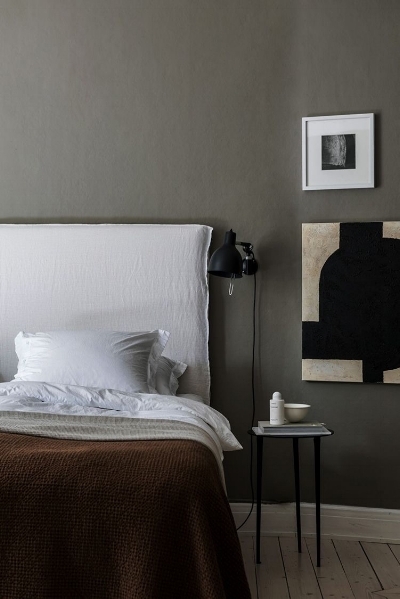 Custom made or off the shelf, a headboard can really cement the overall style you're aiming for. Depending on the height and fabric selection, it can also act as a focal point for a room, so get inventive with shape and detailing. Find the perfect brass buttons or like a piped edge? Splash out... it's all in the finishing touches. Behold the power of plant life. Reducing stress and carbon dioxide, enhancing productivity and just a damn sweet sight for the eyes. Plants are also great if you have little access to the outdoors. Blooms are gorgeous too, but don't come cheap. If you lack green fingers, why not fake it? The stigma on fake greenery has faded - if they make you happy, use them. Here we mean a generous pendant that showcases a cathedral ceiling, one that creates an eye-popping wowness in your home. They're especially useful in heavy traffic areas - entry, living and kitchen. Hands down the most important style weapon. 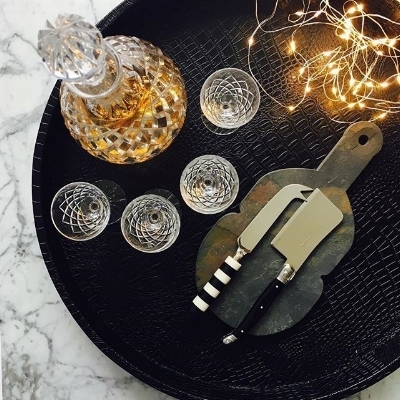 The humble tray is a hold-all that pulls together your collections, so use them with reckless abandon across your entire home. Watch proportions please, ensure your tray is 2/3 to 1/3 the size of the available spot. And while we're on that, your coffee table should be 2/3 the size of your sofa. There's nothing quite like that intense feeling of fragrance. Candles are a welcoming signal to guests, or a cherished scent for Saturday nights in. Honestly, fire them up and sniff them on the daily - they're a mood changer. Ugly cushions have NO place on your sofa. Buy that coveted midnight blue velvet fabric and back the cushion with inexpensive linen. Truly, custom made cushions are NOT as expensive as you might think. Outsource and treat yourself. Follow these easy hacks for a stylish side table. Each shelf can hold different pieces but keep the colour palette the same. Pile books on the bottom shelf and the smallest items the top. To avoid looking awkward or messy, keep the colours similar. Think of a pyramid shape as you style away. There is no exact science for the right amount of doo daas, a lot comes down to personal choice. Some people crave a simple, pared-back space, while others feel happy with abundance - an overflowing mass of decoration. It really just depends where you sit on the spectrum; magpie or minimalist. Think about how much emphasis you want? Less accessories = less visual competition, which in turn creates an airy and open sense of space. Emotion is another big factor. How do you want to feel? More accessories might suggest clutter, but they exude a certain coziness when done right.